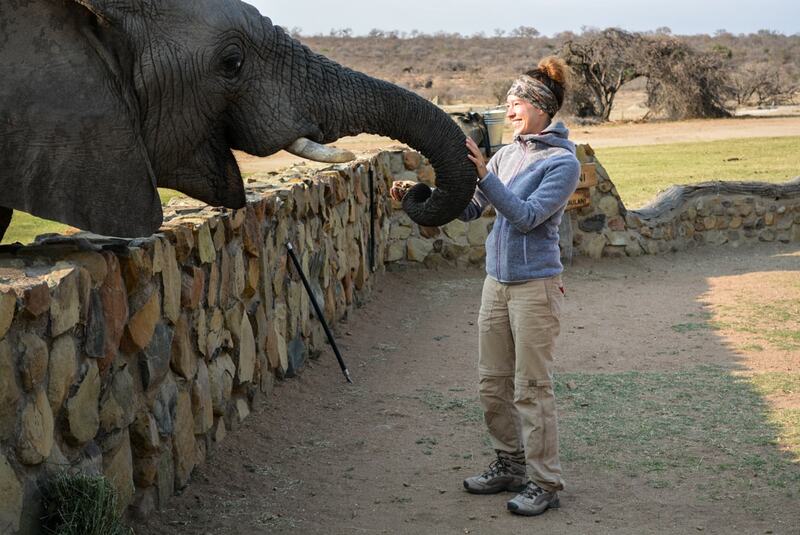 For most people a high-grade safari is the absolute highlight in their lives. Many people dream of experiencing the Big Five (leopard, elephant, rhino, lion and buffaloes) close-up and of shooting animal pictures at close range. 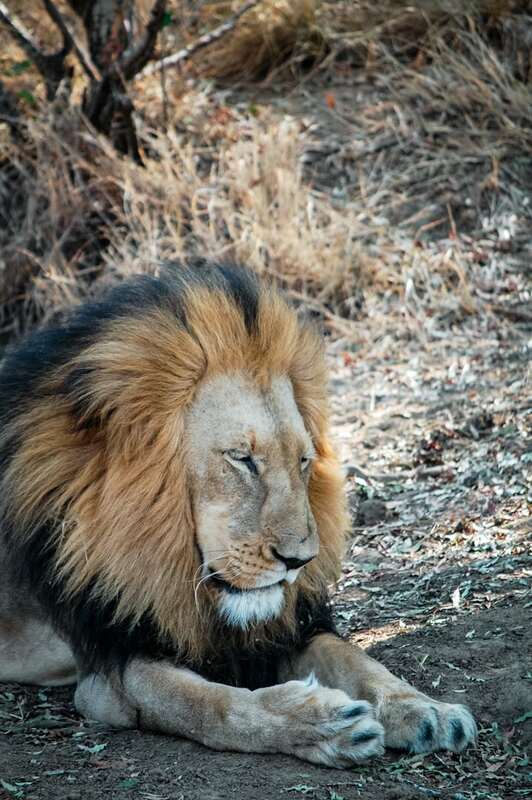 Game drives in open off-road vehicles with a view across the wide landscape and the thrill which animal one will see next are only two of the reasons why it is worth it to go on safari. Another one are the breathtaking sunsets ;o). 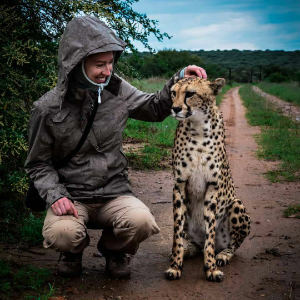 If you have already been following my blog and Instagram account for longer, you will know that African safaris are one of my biggest passions. I cannot get enough of them. That is why it is a heart-felt wish of mine to share this post with you in my blog. Why you should go on an African safari I have already told you in this Blog Post of October 2017. 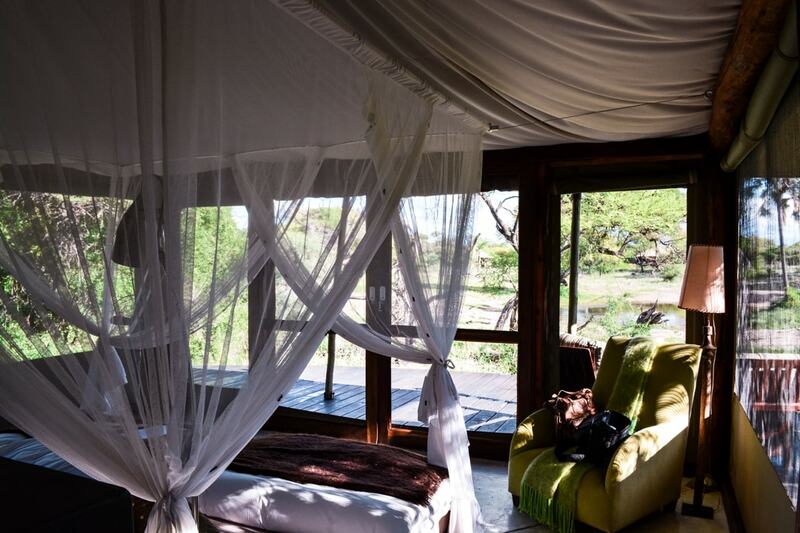 Accomodation | What precisely is a Private Game Reserve? 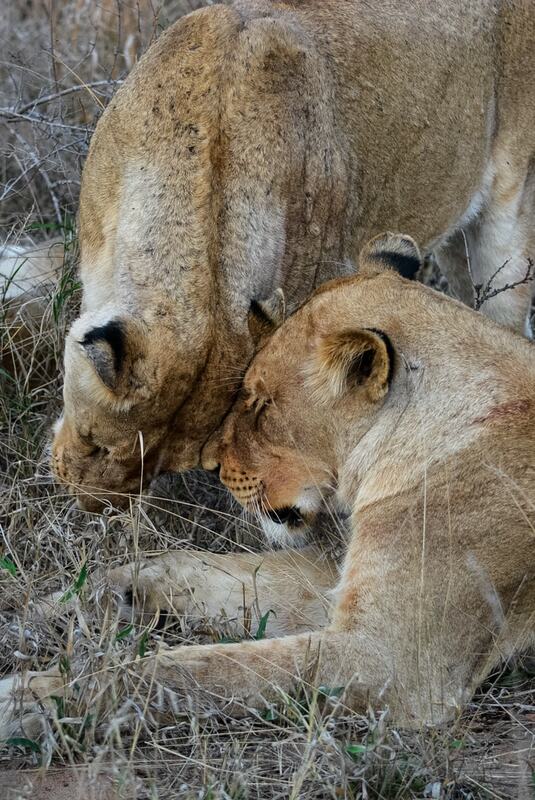 Many of you have asked me why I go on safari for 10-14 days in a row rather than the usual 2-3 days. Since the first safari in 2010 we have been focussing on: bush experience, animal world and the production of high-class animal photos and concentrate less on the country and its people. Most tourists combine a safari with a general holiday in South Africa and only use a few days for game drives. Even then it is possible to see much with a bit of luck or, if one is unlucky, only experience a few moments with the Big Five. 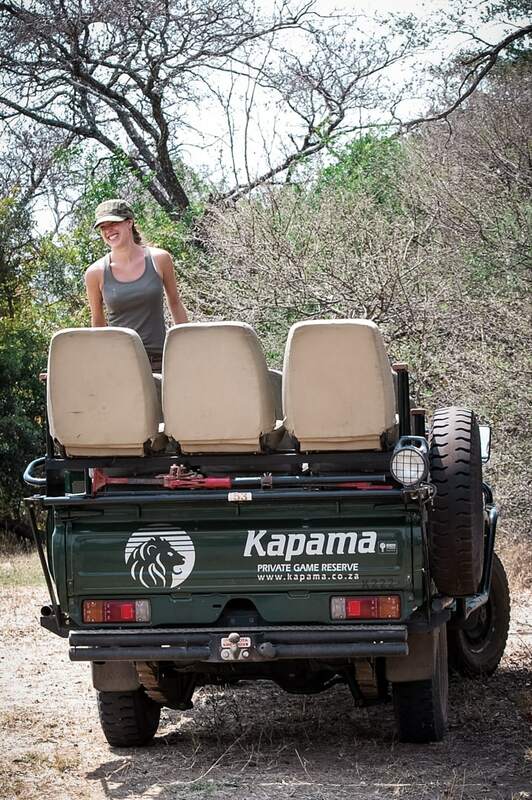 It is important for a high-grade safari to make sure for the game drives that the vehicle is open. Everybody knows those closed busses and groups. For me, there would be no real safari feeling. Better to save for a few months more and to stalk properly. Safaris are basically possible all year round. Yet from my own experience I can tell that spring, e.g. September-October, are most suitable for a safari in the North and East of Africa (near Krüger National Park). During this time it only rains a little but it is not too hot. The water holes are filled well and no additional water has accumulated in the bush that would lead the animals from the water holes. For here we will look for the animals first as here one gets the best view and the animals can be photographed for longer. In Namibia we were once travelling in the wrong season and spotted less animals as these had found enough water at other places. This was of course quite depressing since we have already seen so much in South Africa, for example a baby elephant which presumably is everybody’s highlight. 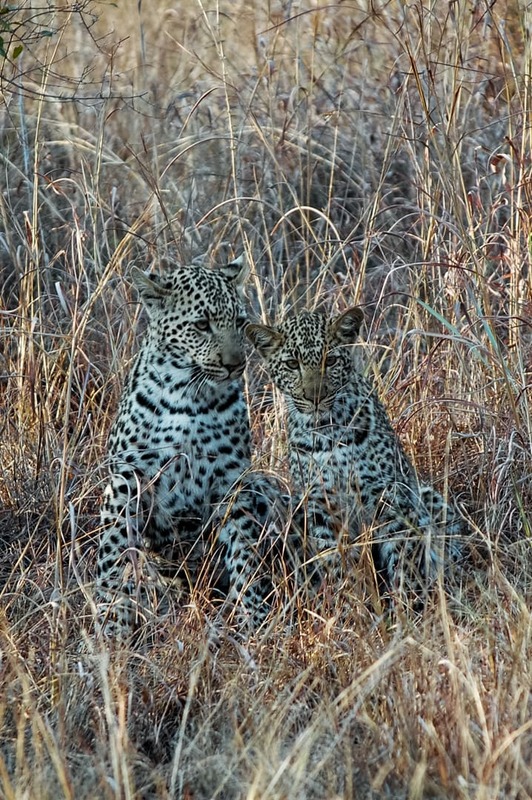 Another unforgettable experience was seeing young leopards. The chance to see a single leopard is very small, seeing cubs is almost similar to winning the lottery. Let us not veil the facts. Everything is a matter of budget in the end as well as of the own preferences. 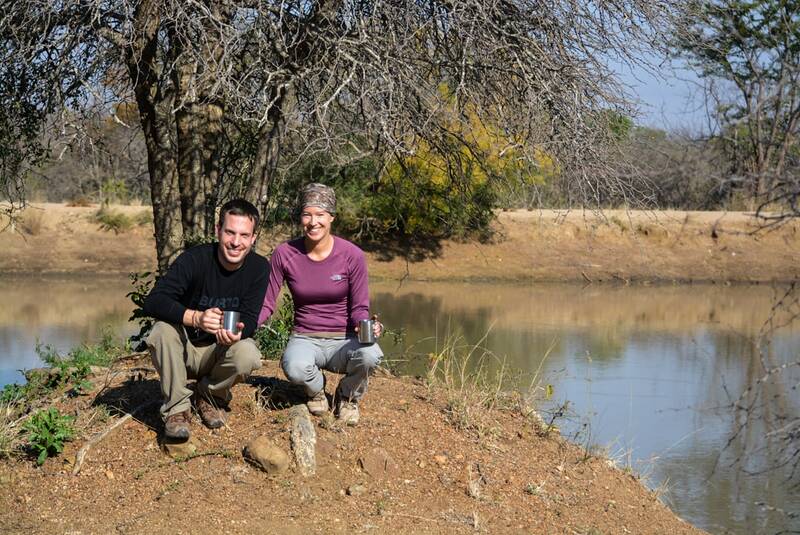 Usually you will find two types of safari holiday-makers in Africa. Those who reside in premium accommodation (so-called Safari Lodges) and who would like to enjoy the luxury of high-class full board and guided game drives. And secondly those people who would like to go into the bush with a little budget, accepting group tours or who travel around as self-drivers. It is possible to drive through state national parks independently and to stay the night in rustic camps. Both surely is a highlight of a special sort. I admit that I am a holiday-maker of the first kind and would also prefer a careless and unforgettable stay far from civilisation. 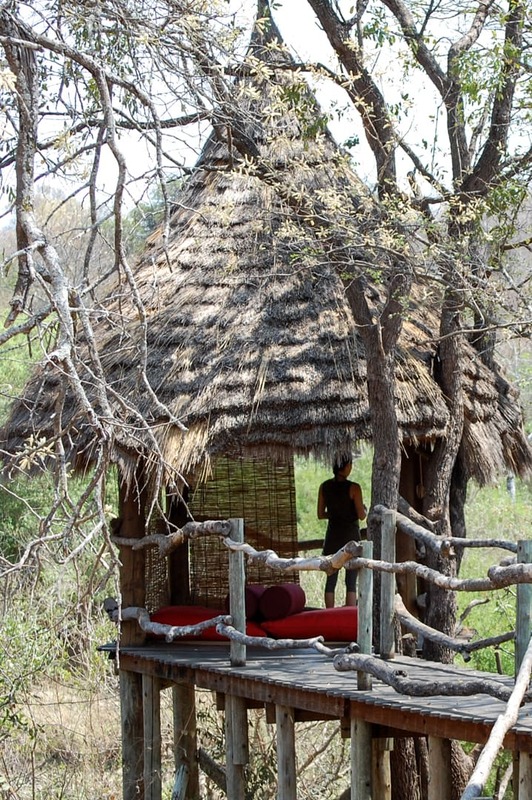 Indispensable for me is a stay in a Tented Camp since here I feel like being in the middle of it all. Usually I am not the backpacker type but prefer a fixed stay which I can return to after an exhausting safari game drive. Of course one has to pay for this kind of luxury. We have heard from many other guests who we met in Africa that they would never go to a national park again. 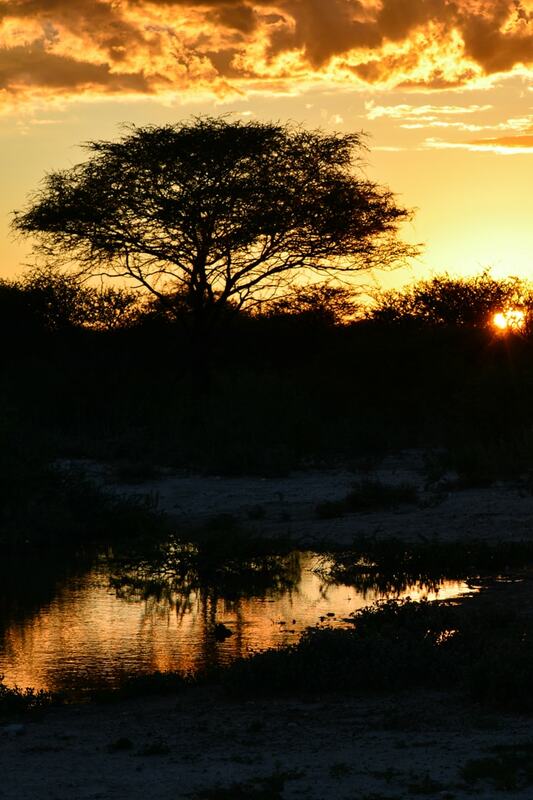 We have always agreed to that with a keen shake of the head as we experienced this in Etosha National Park in Namibia. One gets to see very little and even if one sees something, one only hears the motor sounds of other vehicles. In my opinion this is not very animal friendly. Most of the national parks are quite crowded. Please investigate prior to your visit! There are some smaller national parks that are less busy. As I have experienced both, tent and clay hut, I know what I am talking about. When at night next to your tent a giraffe pair are nibbling at an acacia and you feel like being next to them, you just do not want anything else anymore. Also the animal sounds are much more intensive and louder when you hear them from a hut. You hear the lions roar and the monkeys dance in the trees. It is beyond words! 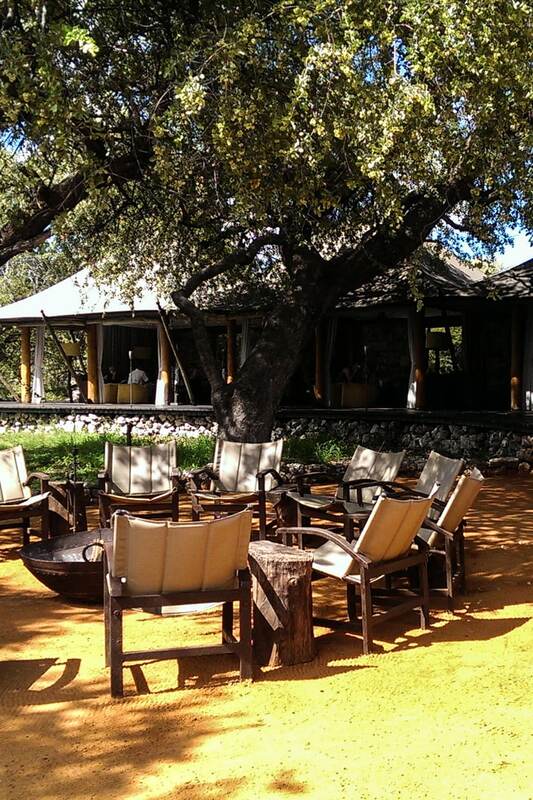 Accommodation | What Precisely is a Private Game Reserve? A private game reserve is a marked area (several thousands of hectares) which is home to a variety of wild animals and birds. 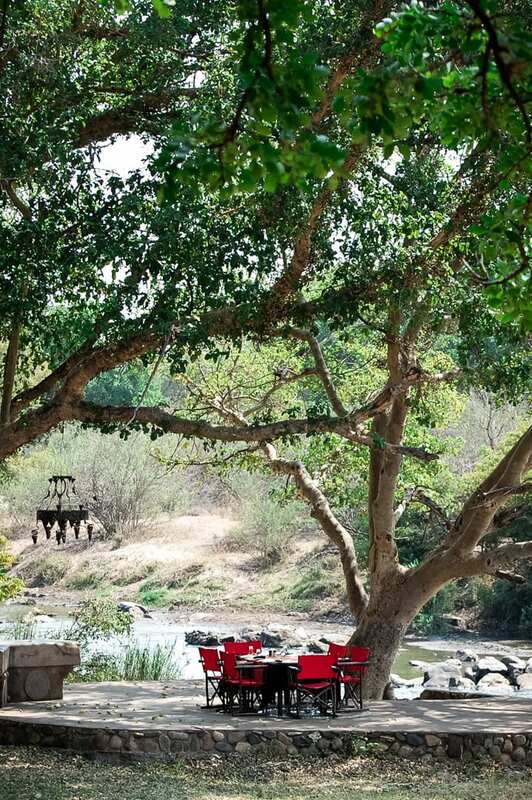 As a guest you take part in guided game drives in an open off-road vehicle and you receive much information about flora and fauna from a trained guide. It is even possible that the guide speaks German. There are some German speaking safari guides in Namibia. 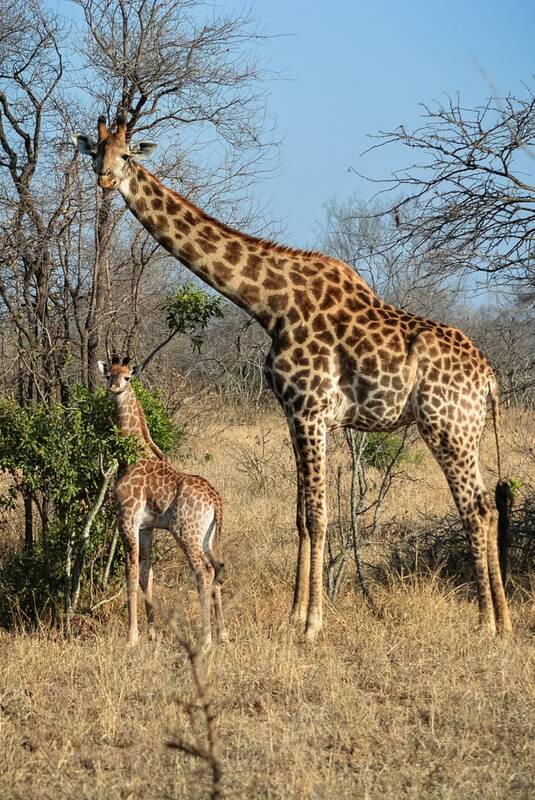 The advantage of a private game reserve in comparison with a state national park is the privacy of the guests and the animals. 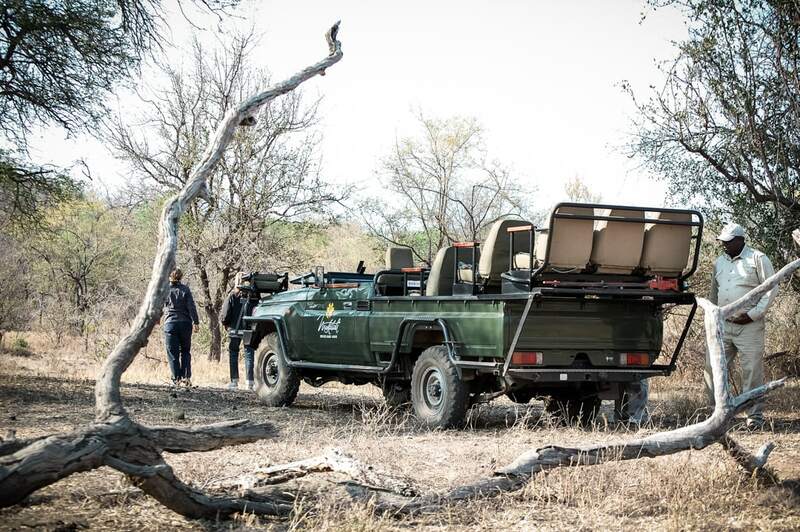 Whereas in a national park there are often many vehicles at the same spot (this is the area where the animals get sighted), there may be only one open off-road vehicle in a private game reserve. One stays at the spot with one’s ranger and tracker and only when we are „ready“, the next one will arrive (after having been contacted by radio). The rangers communicate with each and each of them benefits from the discoveries of the other. That is why we have been able to see some very special and rare animal scenes, e.g. a leopard climbing a high tree with its prey. Every single one of them was enchanting in its own way and we did not miss a thing. The staff were incredibly friendly and dedicated. I would like to hint at one special thing. 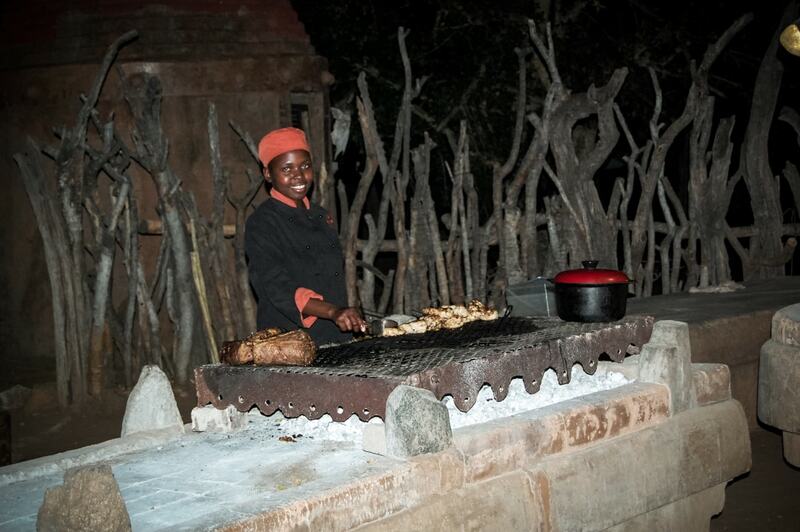 A “Boma Dinner” must be a part of every safari. In a marked area (often separated from the bush by wood) one dines at a big table with all or some of the safari guests and the ranger. 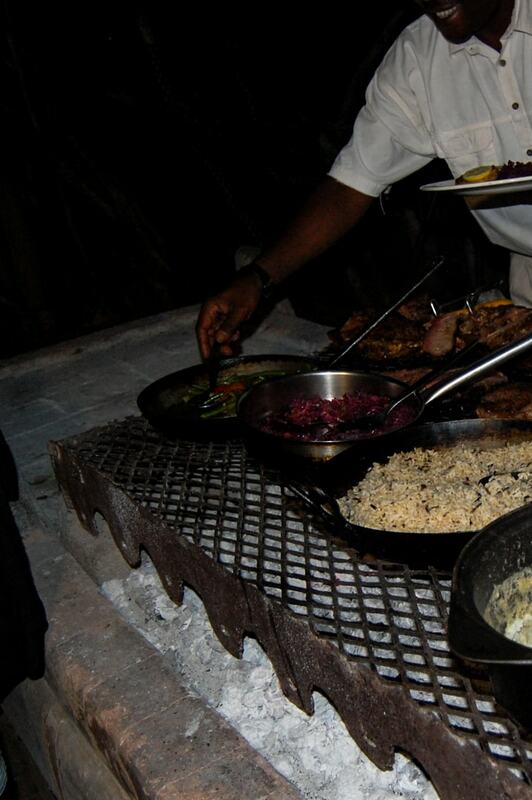 During a nice meal which might consist of indigene animals (I always got a vegetarian meal on request) stories of game drives are being exchanged or the ranger tells about his exciting experience. 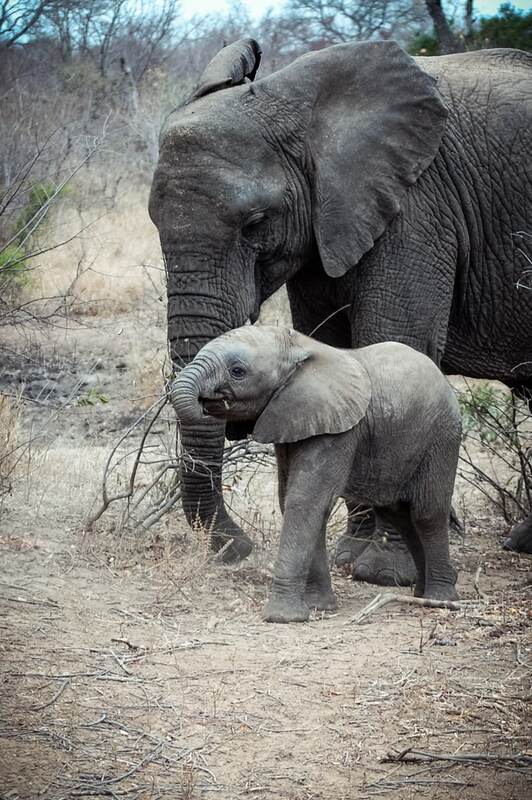 In Africa there are many possibilities of supporting animal welfare or to learn more about it. 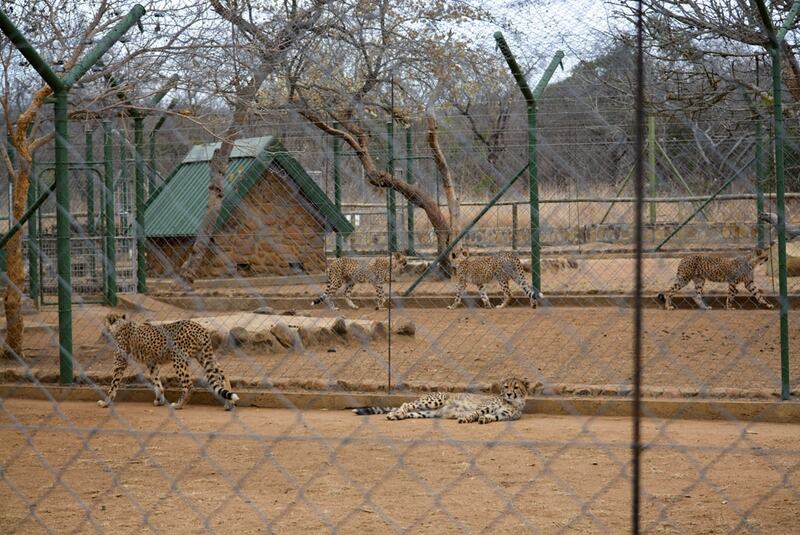 For example in 2017 we were at the HESC, an organisation for the wildlife conservation of the African wild animals. We went on a guided tour for about 2 hours and have learned a lot about wildlife protection. 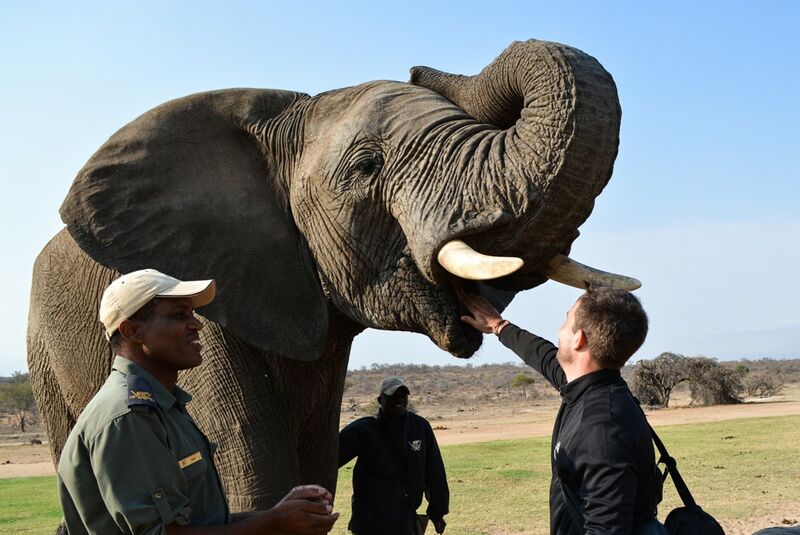 We have also learned lot a lot about our sensitive pachyderms, the elephant in Camp Jabulani. We were even allowed to feed and touch the animals. 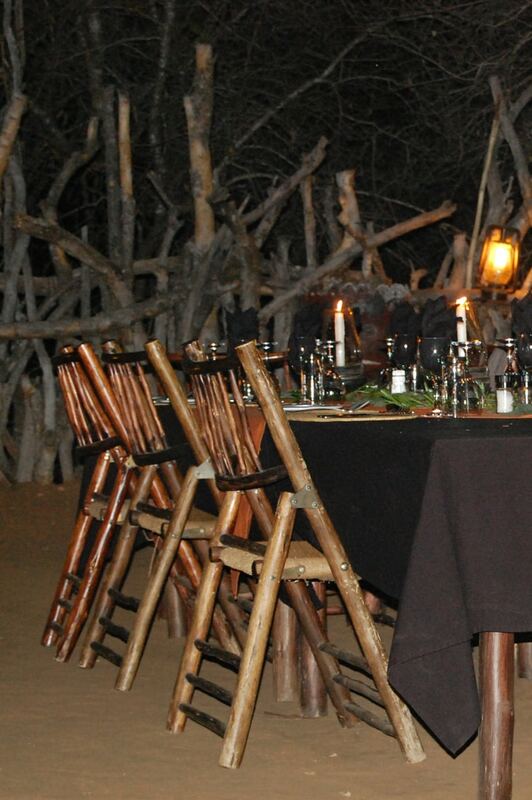 We could visit Camp Jabulani from our Private Game Reserve Kapama. Everything was organised locally and was very uncomplicated. . In Namibia, too, we visited an impressing organisation called Naankuse. 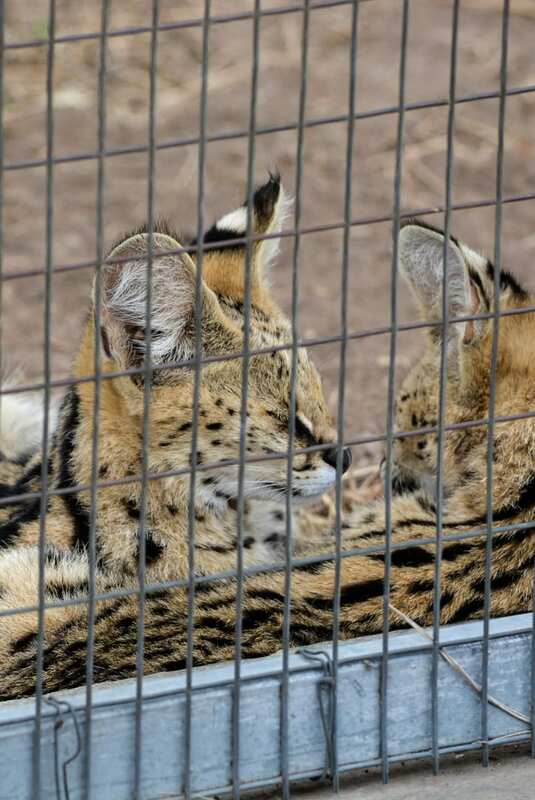 This organisation has also dedicated itself to species protection and is home to countless wild animals that partly cannot be released into the wild anymore. All the proceeds go to the work of this organization. A local stay is strongly recommended. We went for a walk with the female cheetah Kiki here. For the future: It is a dream of mine to visit the well-known Private Game Reserve Sabi Sands. 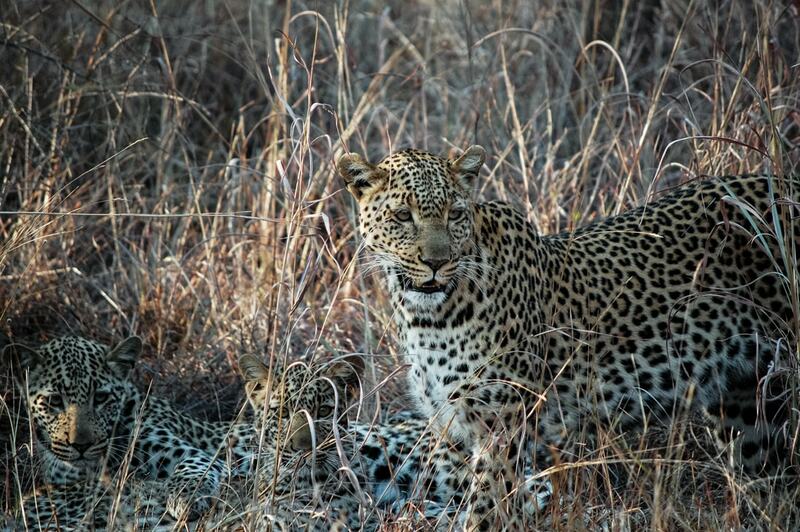 We have heard from every ranger about it as Sabi Sands has the densest leopard concentration in the world. After taking a look at the prices I had to postpone this plan for a bit. I would also very much like to go to the Okavango Delta in Botswana. 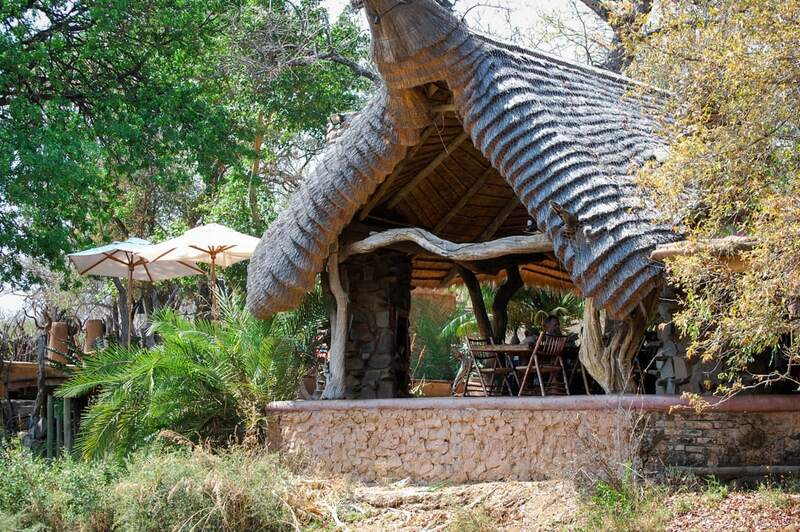 This area is supposed to be an unforgettably beautiful place if one loves the African safaris. To get an insight into the topic of safaris and to take a look at different types of accommodation, I recommend the catalogue from Abendsonne Afrika. Until now we always took the flight from Frankfurt to Johannesburg. 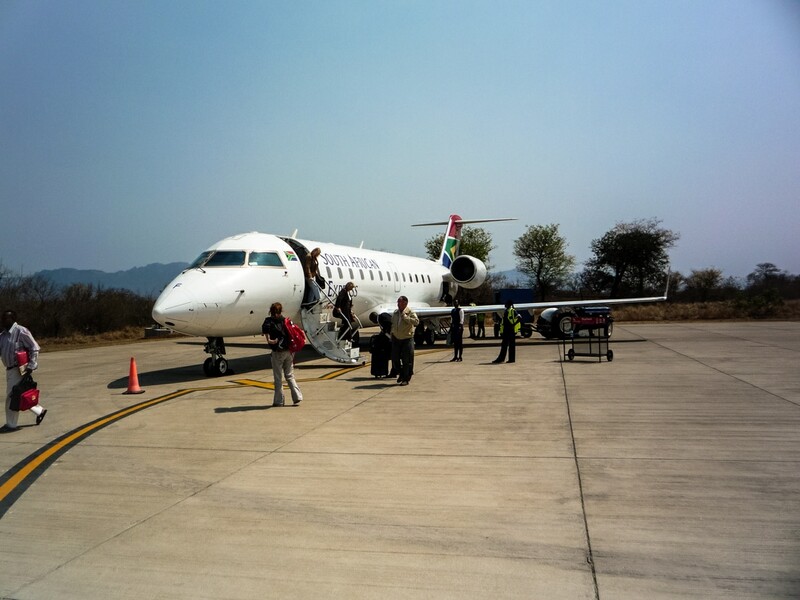 From there we go on by a small plane to a small airport called Hoedspruit. Hoedspruit is a small South African town at the foot of the Little Drakensberg Mountains in the county Limpopo. From there one gets always picked up by the lodge staff. This year we will stay one night in Johannesburg before we carry on. Just to arrive freshly and relaxed at the lodge. A long distance flight always incredibly tires me out. 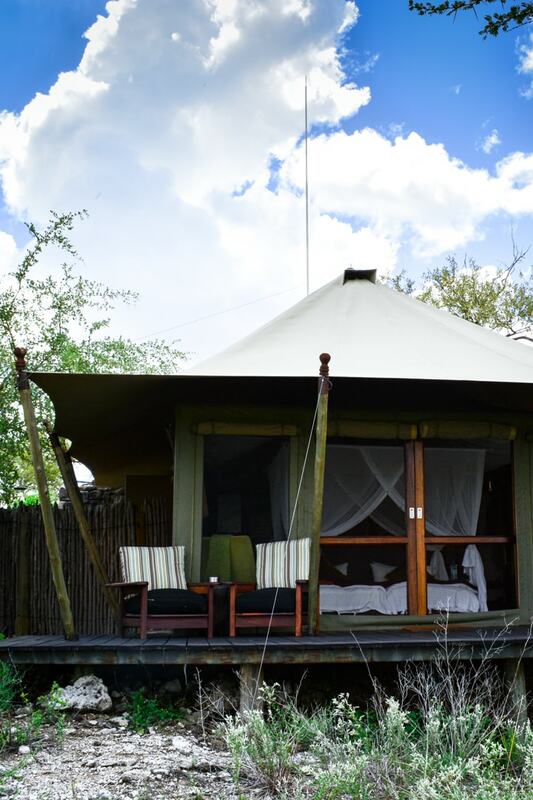 Safari Lodges in private game reserves are usually very busy and hence fully booked. Make sure to book early. We always book a year in advance to get exactly the lodge that we would like to have. In 2017 we booked a bit later and had the problem that our favourite lodge was only available for 3 nights rather than for 4-5 nights. Apart from that a short term booking is quite expensive. On my first safari I made the big mistake to not get informed about suitable clothing. I only thought of camouflage colours and sturdy shoes. That figures. As if. I had too little warm clothing! The nights in South Africa get really cold. Here is my little list with some recommendations. As it gets quite dusty one best packs only a few white pieces of clothing. Camouflage colours are suitable for disguising in the bush. Neon colours or red suit less. One sees the dust less on camouflage colours which is always good. One gets quite dirty on safari. Comfortable sturdy shoes are very important. I prefer hiking boots that I already in Costa Rica in 2008. In the African bush it is very dry. After the safaris one is very dirty, that is why the shoes should not be too permeable. As one does not only sit in the Landrover but gets out from time to time, sturdy footgear is recommended rather than flip-lops. Good trainers also work. Light hiking and sport socks suit perfectly. In the evenings one should wear long socks to be protected from mosquitoes. As it gets cold very quickly in South Africa at night and the game drives start early in the morning, it is important to pack warm clothing. In my first year I only had one knitted cardigan and one pair of long trousers as I thought it would always be very warm. I was wrong! My tracking trousers with a zip-off function have proved themselves to be the best option. One can take off the legs below the knee if required. As a jacket I chose fleece ones and light summer jackets to always be well prepared. On the afternoon game drives it gets cool quite quickly because of the airstream. You should also take a jacket into the vehicle when you go at noon or in the afternoon, especially when the vehicles are open. One should also think about this. 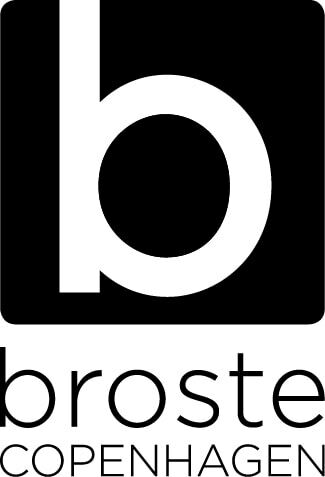 As a woman it is recommendable to wear a sports bra as it gets quite bumpy in the vehicle. Long-sleeved shirts are a good alternative for light jackets. The sun ccan burn hard and one should use a sun blocker or wear a long-sleeved shirt. Underneath I always wear a top that I can take off when we stop. Binoculars, photo equipment, lip care, sun blockers (sun protection factor 50), headgear (I love these tracking scarves– see picture), charging cable, adapter. IF YOU HAVE ALREADY GAINED SAFARI EXPERIENCE, TOO, I LOOK FORWARD TO YOUR FEEDBACK IN THE COMMENTS. What amazing photos! All the animals looks so happy and those who are with the reserve groups seem very well taken care of. Thank you for all the information. I’ll be adding this to my list of places to visit and experiences I would love to have!